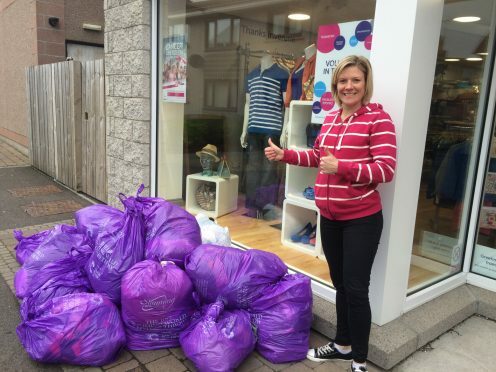 Caring members of the Aberdeen City & Shire Slimming World groups have collected hundreds of bags of clothes they’ve successfully slimmed out of to raise money for Cancer Research UK. Consultant’s who runs the local Slimming World groups, encouraged members, their friends and families to spring-clean their wardrobes and collect the clothes, shoes and accessories they’ve successfully slimmed out of to generate valuable stock for the Cancer Research UK shops. The groups, which meet every week have lost a combined 5870 stones since January this year, were all taking part in the organisation’s national fundraising campaign, the ‘Big Slimming World Clothes Throw’. Last year Slimming World’s Big Clothes Throw raised £1.7m for Cancer Research UK, and this year the organisation aims to raise £2m for the charity. With each bag worth up to £25, the consultants hope the contribution from the groups will help to reach that total. Mandy Elphinstone, Team Developer for Aberdeen City says, “The incredible members of our groups have amazed us with their enthusiasm, dedication and commitment once again! 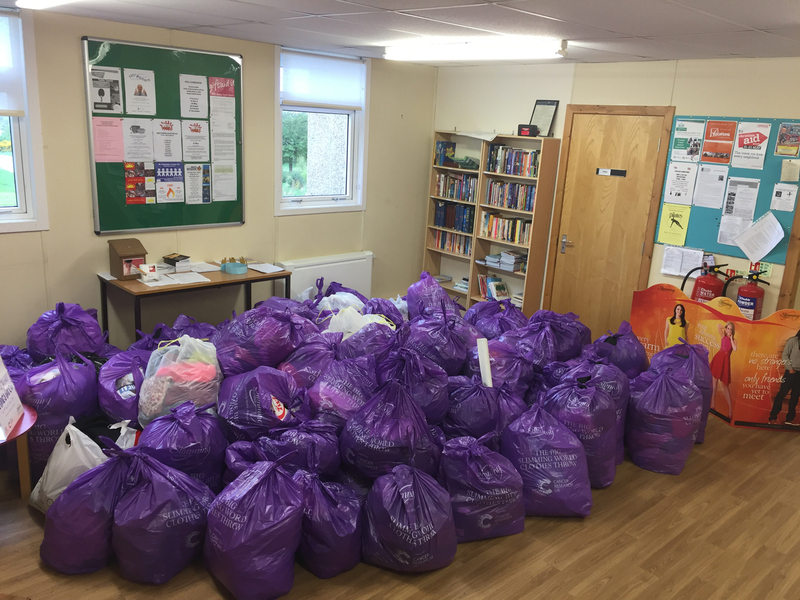 This year’s Big Clothes Throw has been a fantastic success, and I can’t believe just how many bags our members, their friends and families have managed to collect for Cancer Research UK. It’s been so rewarding and I’m so proud to help pull together such a phenomenal amount of stock for such a worthwhile cause! “When we told our groups about the campaign they couldn’t wait to take part. As they knew they’d never need their ‘before’ clothes again. Not only is the Clothes Throw a perfect opportunity for all of us to celebrate our slimming success, it is also vital we spread the message that keeping a healthy weight could reduce the risk of developing ten different types of cancer.